Recent proposals for low-altitude airspace operations has initiated a demand for an autonomous air traffic control system that is needed to communicate with future intelligent aircraft, facilitate on-board autonomy or human operator decisions, and cope with the envisioned high-density and on-demand air traffic by providing automated sequencing and separation. 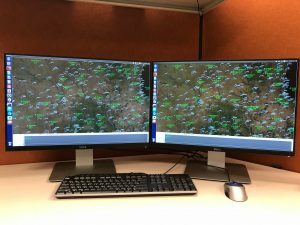 I am currently working with Dr. Peng Wei at Iowa State University, where we are seeking to design and implement an autonomous air traffic control system. This research integrates big data architecture and computation power, as well as, artificial intelligence that will coordinate pre-departure UAS flight plans, detect potential collisions in real time, generate recommendations to resolve potential conflicts, pro-actively control any risk to people and objects on the ground during an emergency landing, and identify the cause of collisions.